Moving your possessions across town, across the country or overseas is a major undertaking. As an agent for Allied Van Lines, Simonik Transportation and Warehousing is an experienced residential and commercial relocation mover who can help. We serve businesses and households throughout Central New Jersey and surrounding communities – from the Jersey Shore to the Philadelphia area in Pennsylvania. As a member of the NJ Warehousemen & Movers Association, we strictly adhere to their NJWMA Code of Ethics. We perform thousands of relocations annually and maintain an “A+” rating with the BBB. 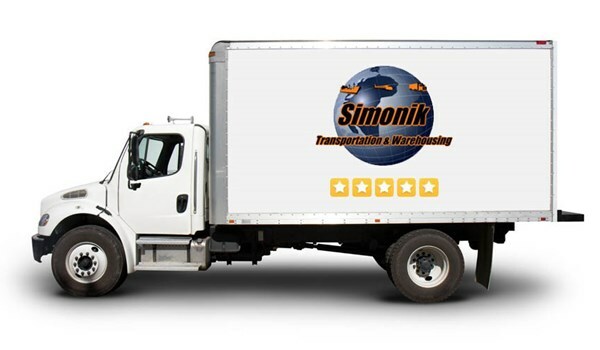 Our Mission: Simonik Transportation will provide our customers with the best possible transportation & warehousing services available while insuring customer satisfaction through consistent, controlled quality management. We will continually improve quality in all areas of the company therefore increasing customer satisfaction by exceeding expectations in all areas of transportation related services. Simonik was established in 1977 as a full-service transportation company and agent for Allied Van Lines. We currently have over 69,000 square feet of warehouse space and our fleet size continues to grow year after year. The company was privately purchased by the existing top management staff in 2007 and renamed Simonik Transportation & Warehousing Group, LLC. (see "Our Mission/Corporate Profile" section for further details). Through continued investments in equipment, facilities, continuing education and training and a consistent commitment to quality, Simonik has grown to rank as the 15th largest agent in Allied's National Network. The name has changed but our commitment to service is higher than ever. Our fleet consists of over 140 pieces of equipment from 53-foot trailers to straight trucks and pack vans as well as our own Simonik car carrier. We also have flat bed trailers designed to handle our crated shipments that are delivering in or out of our storage facility. Within the Simonik Transportation fleet, we employ drivers that have been awarded specific quality awards based on their individual expertise and performance. We have several drivers that are in Allied Van Line's "Master Mover" program; these people represent the "best of the best" in the moving industry and are specifically recognized for their on-time pickup and delivery as well as their individual performance on each move they handle. We provide a nationwide service to our clients with our entire fleet centrally dispatched out of our corporate facility located in Burlington, New Jersey. Our facility consists of a 79,000 square foot warehouse and 20,000 square foot of office space located in the beautiful Burlington, New Jersey. We employ about 75 people from our local community not including our long haul driver fleet that is positioned all over the country. Our facility is secured with a 24/7 camera security system. The entire warehouse is sprinkled, vaulted for maximum storage capacity and a portion of the warehouse is racked for easy skid storage as well as oversized furniture items. We also have a platform scale in our facility for weighing each shipment as well as a section of the warehouse dedicated to our custom-built crates for specialty items as well as extra care protection for shipping fragile high value items such as grandfather clocks and chandeliers.